Racing cars from the Tuning Akademie Ingolstadt not only come with an immense horsepower but also include measurement technology provided by Micro-Epsilon. 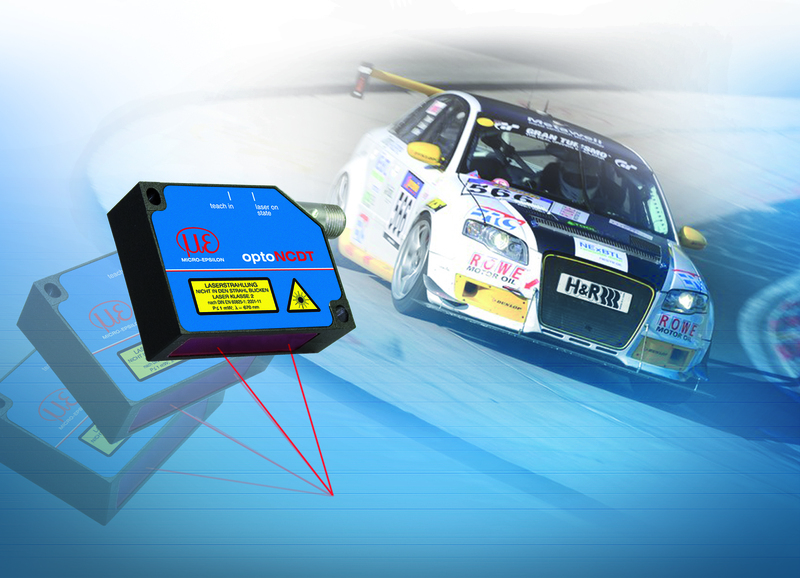 The laser-optical distance sensors optimize vehicle performance through their high precision measurements. 2015 was a successful season for the Tuning Akademie racing team. In a 24h race at the Nürburgring, the racing team won the world championship in the category VIII class of alternative drive concepts. Optical laser sensors from Micro-Epsilon are designed for measuring displacement, distance and position and equipped with an integrated digital signal processor. With the Audi A4 V6 3.0 TDI quattro, the racing team was literally said to be "on the move" in the last season. Two optoNCDT 1402-250 VT laser sensors were fixed in the x-axis above the front and rear axles under the bodywork, providing the required measurements during driving. The rotatable sensor connector and an RS422 interface offer improved flexibility. These sensors are insensitive to vibrations that occur during the race. The downward-looking optical sensors measure the distance from the vehicle to the road. By continuously measuring the vehicle height in relation to the speed of the racing car, the team can accurately determine the aerodynamic balance and respective downforce at the front and rear axles. Based on this data, even pitching movements during acceleration and braking phases can be evaluated in detail in order to further improve the driving behavior and aerodynamic efficiency. This sensor technology allows the team to evaluate in detail the effectiveness of different aerodynamic components or chassis components, even after the first lap. Designed by the Tuning Akademie, the racing car serves as a test vehicle for chassis components, alternative materials and innovative fuel and drive concepts. In the endurance races at the Nürburgring, the team tests vehicle development concepts from a scientific viewpoint. Next year, the sensors from Micro-Epsilon will make the running again. However, the vehicle will be different. The Audi A4 will be replaced by a RS5 TDI Biturbo. "In the third year we will also enjoy working with the optical sensors from Micro-Epsilon. We are very happy with this high precision, user-friendly sensor technology. We are also satisfied with their current position on the vehicle. The next season in 2016, the sensors will be mounted in exactly the same position as on the Audi A4, which is above the front and rear axles," explains Dipl.-Ing. Thomas Hanisch, Tuning Akademie managing director. The 24h races will be again the highlight in the season to come. In addition, the racing team wants again to be at the forefront with the driving team of Michael Eichhorn, Markku Honkanen, Bastian Goercke and Thomas Hanisch.